“Come prepared to dance!” advises the Chutzpah! promotional material about Zvuloon Dub System’s upcoming show at the Imperial. Wise words, indeed. Just listen to a few bars of any song and you will find yourself moving to the beat. Founded in 2006 by brothers Asaf and Ilan Smilan, the Tel Aviv-based band is part of an impressive world music lineup at this year’s Chutzpah! As part of its series on the festival this month, the Jewish Independent spoke with Asaf Smilan about ZDS’s evolution into an internationally known reggae group. JI: How did you come together as the current incarnation of the band, and who will be coming to Vancouver? AS: ZDS is a little bit like a sports team. We have an extended lineup with sub musicians, and when we go on tour, we need to do some personnel changes in some of the positions from time to time. The core lineup of ZDS has included eight musicians since 2010. When we recorded our latest album, Anbessa Dub, we brought more musicians to the studio to achieve a certain sound. When we released the album, we wanted to credit all the musicians that took part in the production of the album – the sub musicians that play with us – so we credit all of them on our website. We’ll come to Vancouver with eight members: Gili Yalo on vocals, Inon Peretz on trumpet, Idan Salomon on saxophone, Ilan Smilan and Simon Nahum on guitars, Lior Romano on organ, Tal Markus on bass and me on drums. 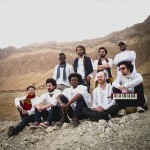 This is the same lineup that will play tonight [Jan. 22] in Tel-Aviv. JI: Is there something about the tribe of Zvuloon that inspired you to choose the name for your band? AS: Back in 2006 when we start to play together, I used to live on Zvuloon Street in Tel Aviv. We used to rehearse in my apartment and we were surprised to see that many neighbors really liked what they heard. One couple from the other side of the street used to go out to the balcony to listen, another neighbor from our building used to come down to our apartment and sit with us, the man from the grocery shop on the corner brought us Arabic coffee and cookies. We felt strong vibes from that place. So, when we thought about a name for the band, we wanted to capture that special vibe in the name of the band and, because we’re playing roots reggae that relates to Rasta (that relates to the 12 tribes of Israel), we felt that Zvuloon was the right name for us. 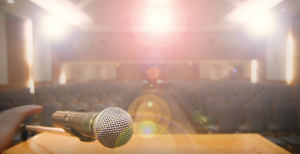 JI: Have the reactions to your music differed between Jewish and mainstream audiences? Have you played in the Caribbean and/or in Ethiopia? If so, what was the experience like? If not, any plans to do so? AS: There are small differences, but basically it’s the same reaction. Sometimes we’re playing in front of a mixed audience of Jewish people, Caribbean people, Ethiopians and mainstream audiences and our music can speak to all of them. This is the beauty of music, the power to touch the hearts of many people no matter where they’re coming from. When we played last summer in Jamaica, we sang mostly in Amharic. The Jamaican people were really curious to hear how reggae mixed with Ethiopian music, so after we played at Reggae Sumfest in Montego Bay, we got an invitation to come to play in Kingston at the Haile Selassie birthday celebrations organized by the Rasta people. In Israel, we’re playing many times in front of Ethiopian and non-Ethiopian audiences and we can feel how the music brings people together and how people from different backgrounds can enjoy and dance together to our music. When people who were not familiar with Ethiopian culture come to me after the show and ask me where they can hear more Ethiopian music, I get the feeling that we’re really doing something important that opens the minds and the hearts of the people. JI: On Anbessa Dub, there are Ethiopian songs done in ZDS style. Can you talk about adapting them for this album? AS: I started to listen to Ethiopian music in the early 2000s, a long time before we started to work on Anbessa Dub. After Gili joined the band in 2010, we started to know each other and, one day, we were sitting together and listening to music. I asked Gili if he knew a song in Amharic that I really liked. From that conversation, we started to think maybe we could play this song in the band in our version. A week later, I brought the arrangement to the band rehearsal and everybody really liked the new song, [as did] our audiences. Slowly, we added more Ethiopian songs to our set until we came up with the Anbessa Dub album. During the work on the album, we developed a unique way to translate the Ethiopian music, which is based on 6/8 rhythms, into a reggae beat in 4/4, so the tempo of the song isn’t changing but the whole feeling is extremely different. When we worked on some of the songs with Ethiopian artists who knew the original versions, it took them some time to understand what we’d done to the songs. JI: Freedom Time features English lyrics and Anbessa Dub songs in Ethiopian languages. Any plans to do a Hebrew album? AS: Lately, I have found myself exploring the influences of biblical text on Jamaican reggae so maybe we’ll do something with that in the future. Last year, we released “Manginah,” our first single in Hebrew, so I believe that some day in the future we’ll come up with a Hebrew album. Israeli artist Moran Yogev created the cover of Zvuloon Dub System’s Anbessa Dub album. 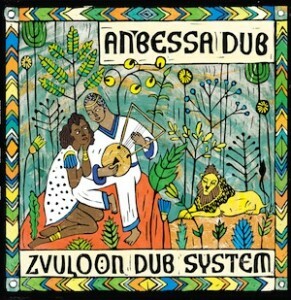 JI: Who did the cover art of King Solomon and the Queen of Sheba for Anbessa Dub? AS: The beautiful artwork featuring King Solomon and the Queen of Sheba was done by Moran Yogev, a very talented young Israeli artist. I saw some of Moran’s works that combined elements of Ethiopian art in the newspaper and I felt that she could bring the right appearance to the album. I was very happy when she told me that she loves our music and would be happy to design our album. JI: What’s the Tel Aviv music scene like these days? In what kinds of venues do you usually play? AS: Tel Aviv is a small city but the music scene is quite big. You’ll find many talented musicians playing all kinds of musical genres, from Middle Eastern to jazz, from Ethiopian music to rock and roll and electronic music. We’re playing in many venues, like the Barbie Club, Hangar 11, Levontin 7, the Zone and many other venues in the city. JI: Are there any musicians, Israeli or not, with whom you would like to work? AS: We have a list of musicians that we would like to work with, and from time to time we’re doing it. In the reggae field, we have worked with artists like U Roy, Cornell Campbell, Echo Minott, Ranking Joe, the Viceroys and others. In the Ethiopian field, we have worked with the legendary Mahmoud Ahmed, with Zemene Melesse and Jacob [Tigrinya] Lilay. In Israel, we have worked with Carolina, and Ester Rada. I have a dream to collaborate one day with Ehud Banai. JI: What’s next for ZDS? AS: I hope we’ll continue to move forward, to create more music, to tour as much as possible and to collaborate with more musicians and, by doing so, to develop our unique sound. JI: If there is anything else you’d like to share with our readers, please do. AS: I invite each one of you personally to come to our show in Vancouver and to discover something new, music that unites people and cultures into a groovy soundtrack. Opening for Zvuloon Dub System at the Imperial (319 Main St.) 19+ show on Feb. 20, 8 p.m., is Brooklyn-based band Twin Wave, which fuses jazz, soul, rock and pop. Tickets are $30, $25 for students. Other Chutzpah! music offerings are Les Yeux Noirs; the Borealis String Quartet, Eric Wilson and Boris Sichon; Daniel Kahn and the Painted Bird; Diwan Saz; and, in Chutzpah!Plus, Ester Rada. For tickets and the full schedule of music, dance, comedy and theatre, visit chutzpahfestival.com.